i) We don't like uncertainty. ii) We're going to see more consolidation. The first is self-evidently true for nearly all businesses: uncertainty makes forecasting difficult and people's inbuilt conservatism takes over. The second is more a sign of the times in which we live. In an increasingly globalised (and thus complex) economic system: scale and/or the never-ending search for synergies are at the forefront of many industry heavyweights' minds. Sitting on one's laurels is a luxury very few businesses and even fewer sectors, can indulge in. 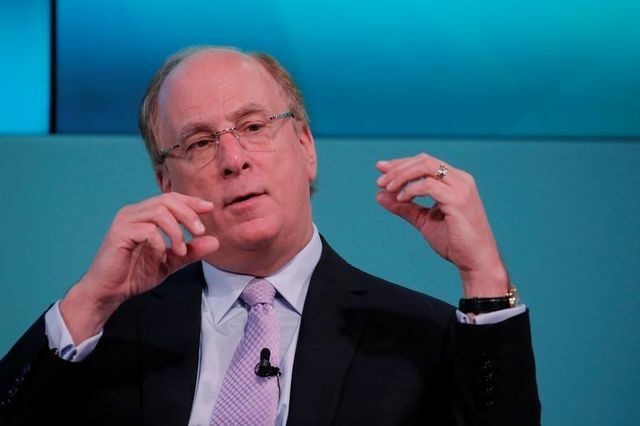 Larry Fink, CEO of Blackrock (pictured) on asset management firms has stated recently, "I believe you're going to see a consolidation in our industry . . . Asset managers historically benefited - in most cases, they benefited - from rising beta so you didn't have this need for consolidation". Construction News recently ran with an analysis of sepearate pieces of research conducted by EY and Deloitte: "Closer analysis discloses some deep-rooted weaknesses in the UK construction sector. . . the analysis calls for significant consolidation to address the changes required. UK companies must start aligning themselves for M&A or overseas influence will eventually dominate." The seafood sector is also coming under pressure to consolidate further. “Globally, I think consolidation will continue in seafood. As the business becomes more complex, you need scale to make it work. I look at compliance issues today and you realize that we have to have more expertise on staff than you needed 10-15 years ago." , according to American industry veteran Jeff Davis. EPS news, the journal for electronic components supply management has, as recently as last week commented on the (latest of many) consolidation wave that is sweeping their industry. Perhaps refreshingly, however, they take a more questioning approach: whilst seemingly inevitable is continuous consolidation, leading to oligopolistic markets neccessarily a good thing or simply received wisdom? "The question bears asking though, was the memory sector’s experience of heavy consolidation followed by improved market conditions a fleeting moment or was the significant shrinking of competitors beneficial to the long-term health and dynamics of the sector and our industry writ large? Similarly, and as a follow-on, will the current, wider swath of M&As cull weaker companies and create opportunities for better aligned companies with the latest technology demands and innovations?" As margins become squeezed, landscapes change, the horseman of uncertainty crests the economic and political hill, and the old adage that a rising tide lifts all boats becomes objectively less true as a hard and fast rule: are we moving into a post-competetive society where the winner takes it all?